Welcome to our website. We offer an image rich, user friendly site for you to navigate. In place of lots of technical jargon we let our images represent what we do to create a visually engaging experience. 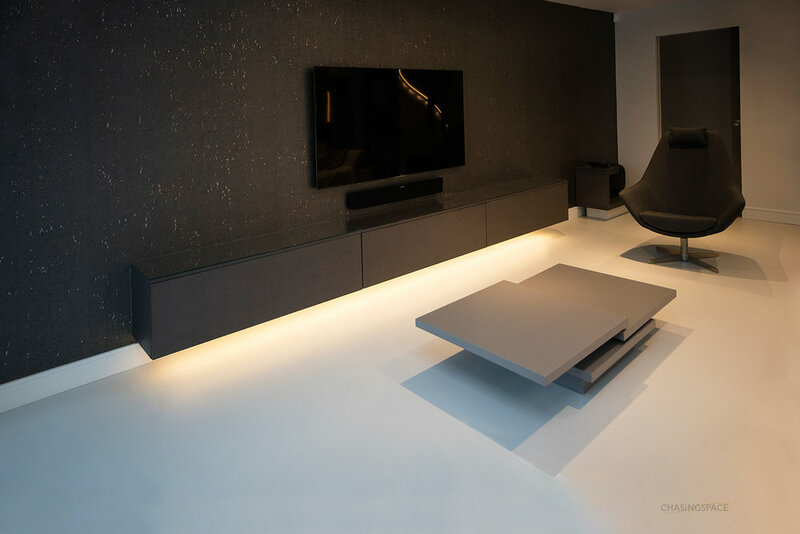 Chasingspace install high quality resin floors and polished concrete walls for the home and office. We are a small company and are very much hands on, keeping everything in house so our standards remain consistently high. We pride ourselves on maintaining a bespoke, personal service and work closely with our clients to create beautiful interior spaces. 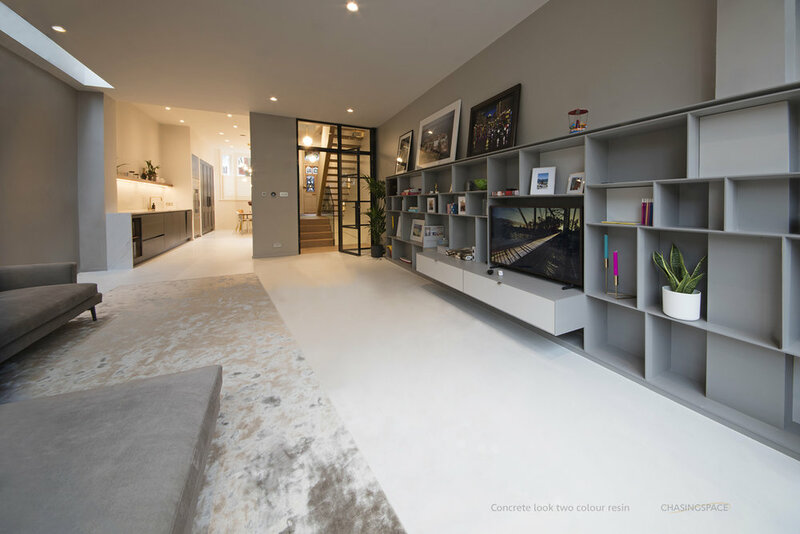 Chasingspace contemporary seamless surfaces are at the forefront of interior design and are durable, stylish and flexible, combining toughness and underfoot comfort. 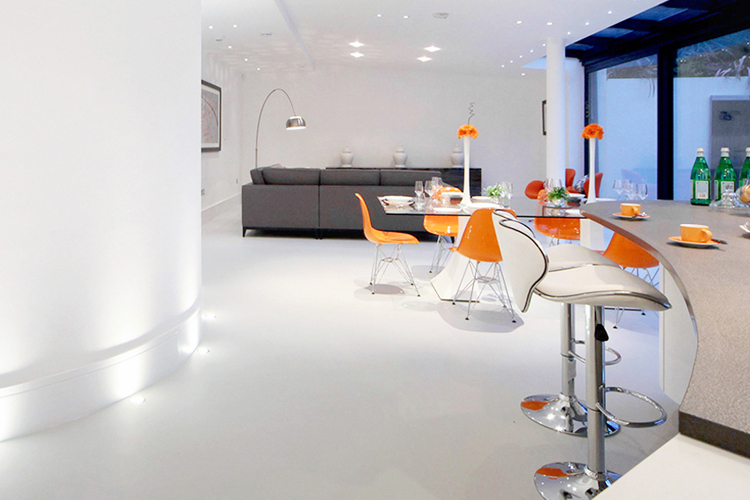 Chasingspace resin floors are beautiful for the home and perfect for the office. 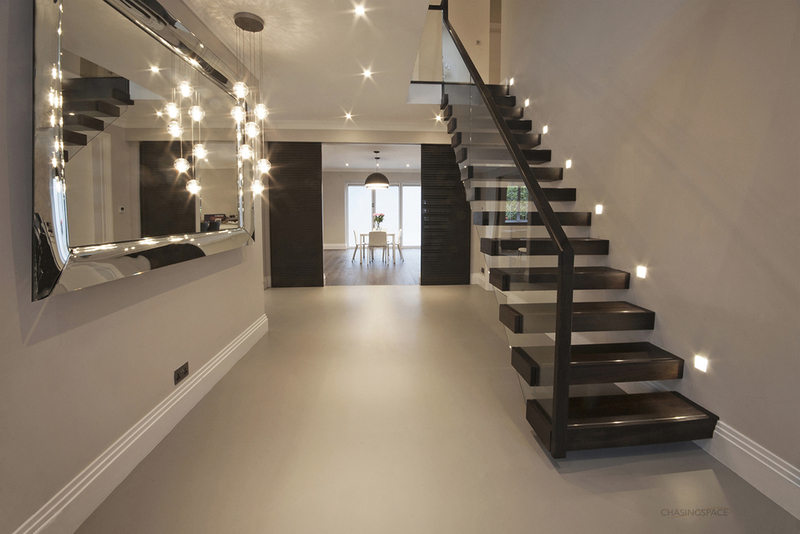 If you are looking for a strong and stylish flooring system we can help. Walk on a floor with the ultimate underfoot comfort. Our resins include a UV stable smooth topcoat which is easy to clean and anti-slip. 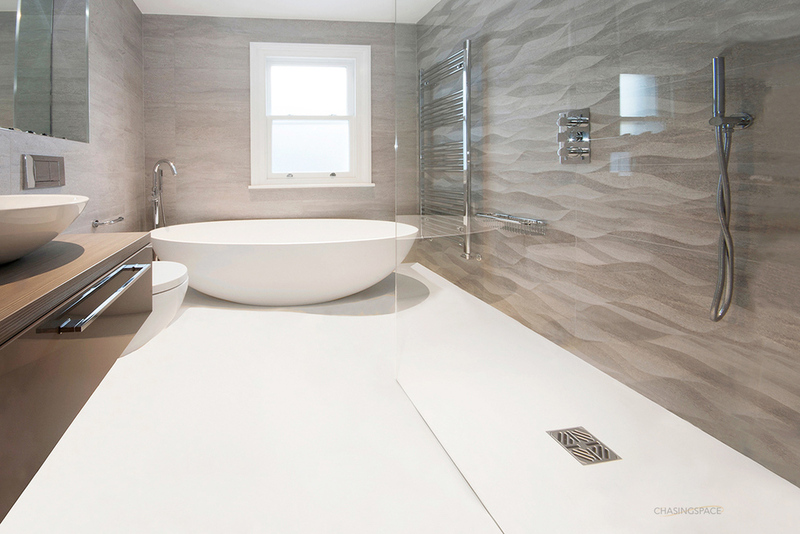 We provide guarantees, subject to our terms and conditions, and offer an extensive range in RAL and NCS colours to compliment any residential or commercial interior. Customer satisfaction is important to us and we strive to achieve this by using premium products and offering competitive pricing with a friendly, professional service. 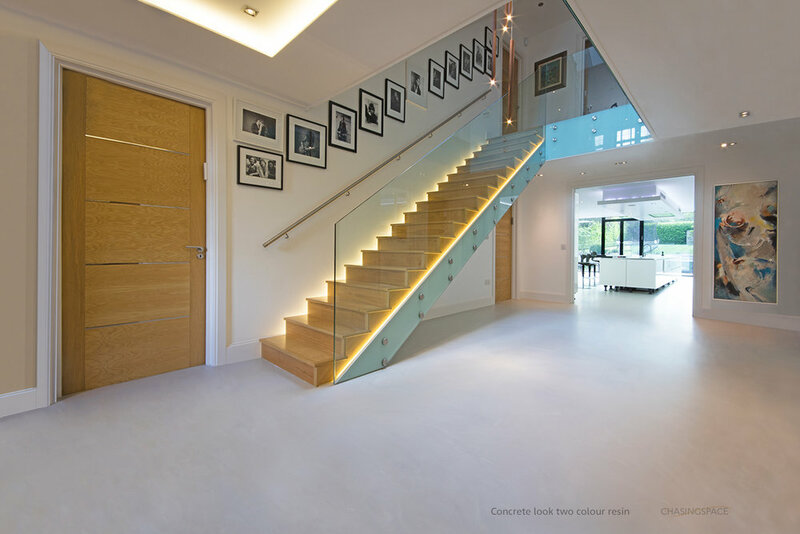 Please enjoy our gallery of polyurethane resin floors and polished concrete walls, and contact us to request a quote tailored to your individual project. Thanks for your interest in Chasingspace. 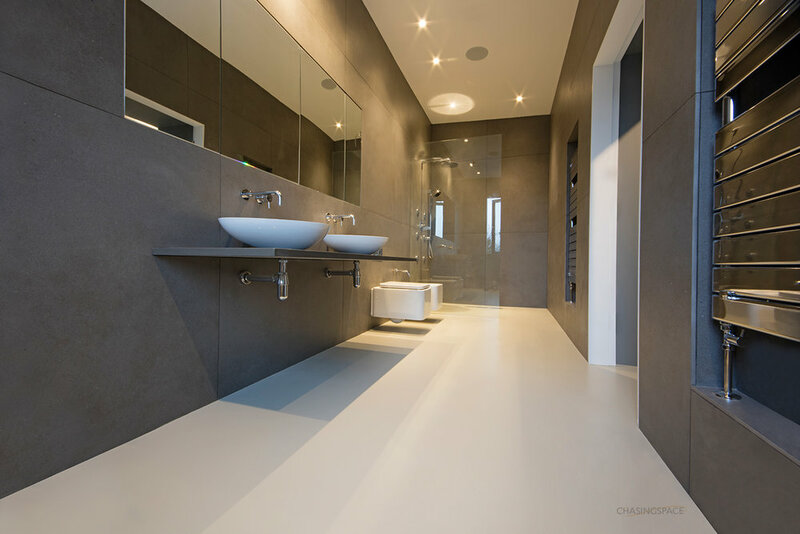 Chasingspace install high quality resin floors and polished concrete walls for commercial and residential properties. In order to offer customers our competitive prices we do not have showrooms which would only add to the prices we charge. 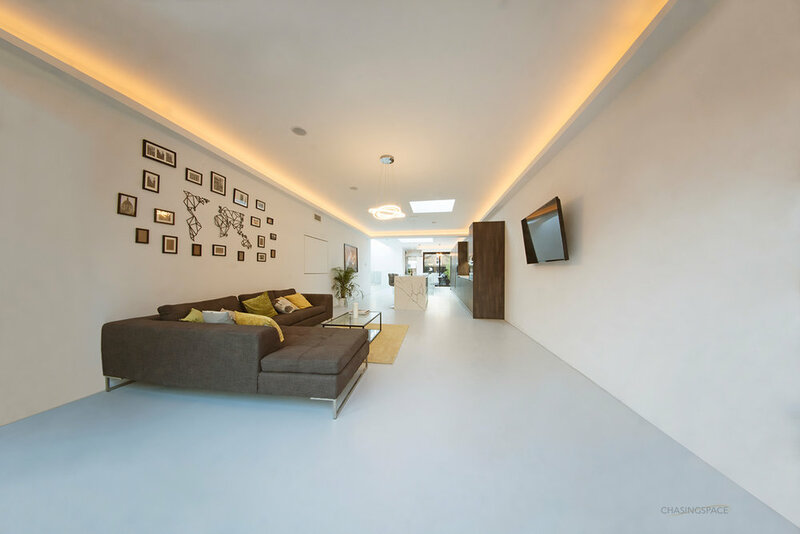 We are happy to arrange a visit with former clients if you would like to view our high quality floor and wall installations. Please contact us for further information about this service. At Chasingspace we offer a personal approach, guiding a client through the whole process from concept to final result. We pride ourselves on our excellent customer service which includes an initial flooring consultation with samples to guide you. 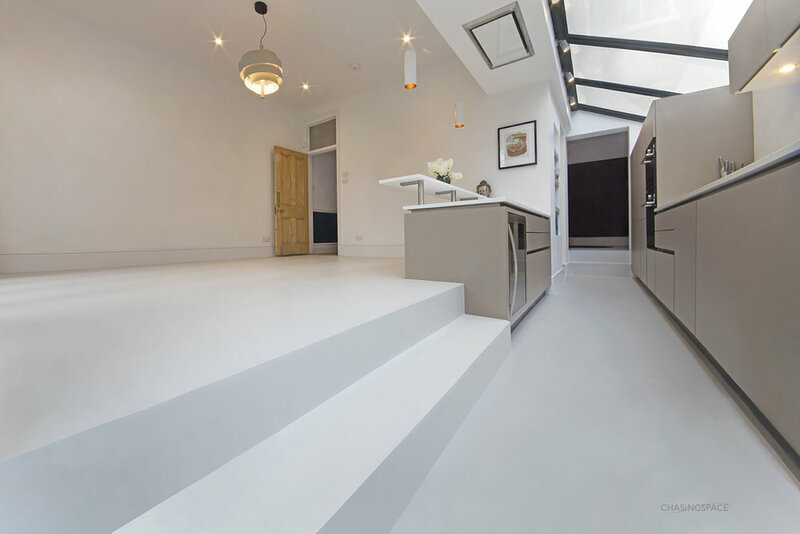 Grand Designs & Create Your Dream Kitchen - read about our featured resin floor installations over on the contact page. 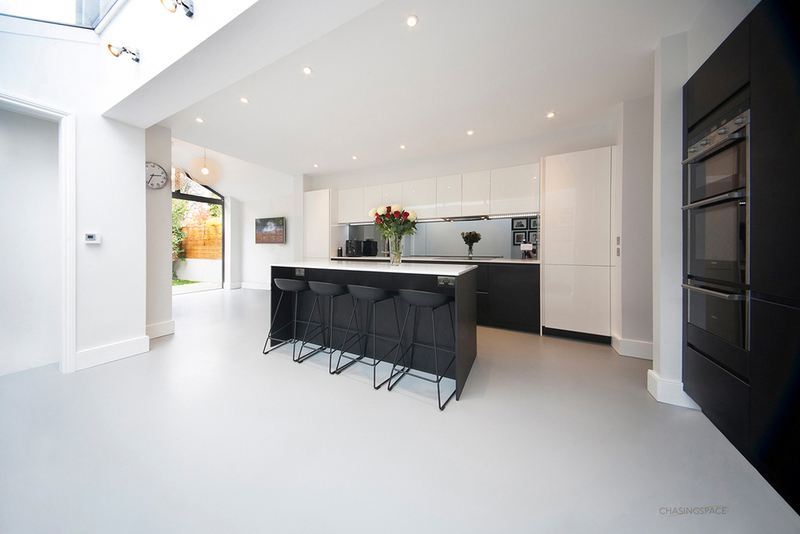 George Clarke’s Amazing Spaces - we installed a 250m2 polyurethane floor for a stylish and unique eco house in Hertfordshire. The project featured in the popular Channel 4 show.